The lacrosse team isn’t new to change, and this season is no exception. Along with a fresh roster now dominated with freshmen, the team has also seen the addition of newly-appointed head coach Tim Baird. 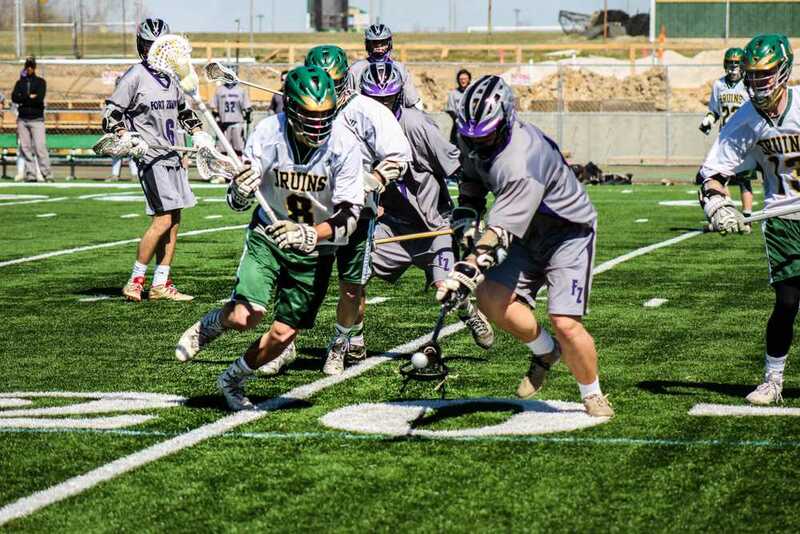 In the past, RBHS lacrosse coaches could only stay with the program for one or two seasons, but Baird says that he wishes to stay so that he can better provide for his former high school. Under the direction of Baird, the team currently holds a 5-5 season record against their opponents. The team began their 2017 campaign on March 12 vs. Fox. After a game filled with energy, the team pulled out with a blowout win, routing Fox 14-0. After starting off the season with a win, the team then went on to play against Fort Zumwalt. RBHS lacrosse has never beaten the Warriors in the club’s history which continued this year. Despite efforts from RBHS, Zumwalt came away with a 13-8 win. Hoping to redeem themselves after the previous loss, the Bruins played their third game of the season against a highly athletic Seckman. The team came out to a slow start, but were able to hold onto a small lead thanks to goals from junior Cameron Fuller and sophomore Matt Lazinger. Though the final of 8-6 was not very ideal, the team still managed to find things that they could build on. “I think In the game against Seckman, we came out a little flat because of the loss the day before against Fort Zumwalt, but I’m glad we kept our lead and came out with a win,” Stauffer said. Throughout the season, the team continued to face numerous competitors which they’ve had intense rivalries with, including Kirkwood and Hazelwood. RBHS has also never beaten Kirkwood, and over the past three seasons has had a goal difference of three in three games against Hazelwood. The team’s most recent matchup was in the form of a 16-2 blowout victory against Missouri Military Academy who is playing in only their second varsity season. Although the end of the season is drawing near, some of the most rivalry-filled games are yet to be played. The team is scheduled to play Hickman and Francis Howell — both familiar foes for RBHS sports in general — on May 3 and 6, respectively. If the team beats both, they will secure their fourth trip to the playoffs in a row and also gain their highest seed ever in the state tournament. As the regular season comes to a close for the team, Baird is still optimistic about improvement, especially as the team begins preparing for their first foray into postseason play under his direction. What do you think about the team’s season this year? Let us know by commenting below.